Well, I’m actually a bit embarrassed. I was confident that the earnings of $11,597.72 that I achieved last month would be the peak and I’d see a dip this month. But actually, there’s another increase and another new record. I guess that because I was confident of the dip, and the reduction in earnings from this one merchant, that I worked extra hard, introduced some new merchants, added extra advertising etc and things paid off to make September a new record. However, I’m now confident that unless something dramatic happens that September will remain the highest month. There were several things that all came together to make this a good one, including a couple of big product sales, the quarterly renewal of all of my sidebar adverts, and a bonus that came in the pattern sales dept. Another record month for traffic. As many sites were complaining about a big drop in traffic from Pinterest as a result of their new algorythm and how they decide of which pins to show – mine did the opposite and my Pinterest traffic soared. Clearly I’m in their good books and hope to stay there. I’m also still in the good books with Google-Gods – fingers crossed this also continues but I check my stats nervously several times a day in case it stops as abruptly as it started. What was good in September? Sewing pattern sales – a record month for pattern sales. This is boosted by a one off payment from a new women’s magazine in South Africa who wanted to reproduce some of my patterns and tutorials in their next 3 issues. I received a one-off payment of $600 for this on top of the regular pattern sales. The Give Me A Shrug top didn’t sell as many copies as the Color Block Dress from the previous month, but I did get some extra sign ups to my Pattern of the Month Club. Direct Advertising – my regular advertisers have all been with me for a long time now and my spots are always full. I’ve switched to quarterly renewals and in September most of them come up for renewal in that month, which is why that figure fluctuates up and down a lot. Advertising revenues – more changes to my sidebar advertising this month. Blogher still gets the top two spots, I’m under a contract with them and although their charges have increased a lot, the revenue is still good. I still retain one Adsense advert under certain high traffic posts, and 3 sidebar adverts have been turned over to another Ad agency to run. Early signs are very promising – I’ll report back on this once I have more data to go on. Product sales – I sold several drop ship and affiliate products in the month that earn me a good rate of commission. These don’t happen every month, but I’m hoping that maybe in Nov/Dec I can get some sales in this area with Christmas coming up. There was one thing I wanted to look at. Obviously my earnings have been growing and my traffic has been growing. But have they both been growing at the same pace? Has the extra traffic been profitable? Am I managing to convert those visitors into buyers and income. In order to decide, I took the earnings each month and divided it by the traffic, then multiplied by 1000 to get a RPM – revenue per mille, or per 1000 page views. The answer, basically is no. I’ve not been converting all the new traffic as efficiently as I was when there was lower traffic. My current site RPM for Sept is $29.13 but it has been as high as $37.84 back in June when I had less traffic. So the increase in visitors does contribute to extra revenue by way of page views, ad impressions etc, but they are converting to less sales per 1000 visits than the earlier readers. Hopefully the traffic will convert to regular followers who will engage more with my offers over time. I get a lot of emails asking about which merchants to use on ShareASale. Generally there are some which are good for me, some which are good for you and some which will good for someone else. It depends on your site, your niche and your readers. I’ve recently updated this older article with a few recent offers, so take a look here and apply to some of these to get you started. I also did an article about BuyCostumes and Gazelle, which I’ve just added to my selection. I’m so excited – I’m going to a blogging conference in October flying to Charlotte, NC. It will be my first time off the island in a long time and my first time ever at one of these sorts of events. I’m hoping to pick up some more ideas for affiliate sales. But, let’s talk Ad Revenue – I can already see it’s TERRIBLE in October so far. Less than half the amount I had this time last month. Blogher looks especially badly hit. I know there is usually a dip this time of year as merchants get their Q4 budgets approved and in place, but wow, this is bad! I’m hoping this new agency I’m trying out will be able to make up some of the deficit. You said ad revenue isn’t looking as good this month as last time around, but I and many other successful IM’ers will tell you: there is no such thing as a perfect upward curve in income growth within this online game! There’s a good chance that you’ll experience a dip for October, but then November will be better than September was! I’m already blown away every month. I just can’t believe how successful it is, although in fairness, I do work very hard. I still keep expecting it all to come crashing down. I’m confident that the traffic increase will result in new long-term followers and hopefully I’ll earn their trust and turn them into paying customers down the line. How soon can one sign up for shareasale? I did complete the application even though I am very, very new. I have not heard anything yet but it really has not been very long. Do they require a certain number of pageviews before they accept the application? I appreciate you sharing this information each month. I do get inspired. I hear they like to see you have been active for at least 3 months, 6 months is better. You need to show a certain amount of posts and that you are writing regularly and have good layout and content. If you do get turned down, you can always appeal. Write and tell them you are serious about working with them, what your plans are for your site and the future and get them to reconsider. It’s worked for others. I have made a little money with Izea each month- but it limits me to 3 applications with the membership I have- do you pay to have the higher level of their service? Hi Deby. I have been following this blog for awhile (over a year), and I am wondering if you’d ever consider showing your stats for each blog separately to give us a better idea of what one blog can do since most of us only have one blog? Also, when you show your traffic, do you mean “sessions” or “page views”? I really appreciate you writing all your different income sources as it gives me a better idea of what to pursue or not. We just got accepted to BlogHer so we are excited about that. Thanks for sharing! 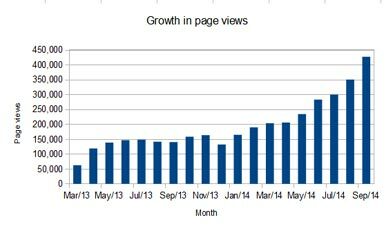 For my traffic, I mean page views. For splitting the rest, I could certainly split the traffic, but the earnings would take me a lot more time to work out where each item came from as sometimes earnings can come from both or either site. In general, 90% of earnings and traffic are attributable to the sewing site and only about 10% to the MMM site. 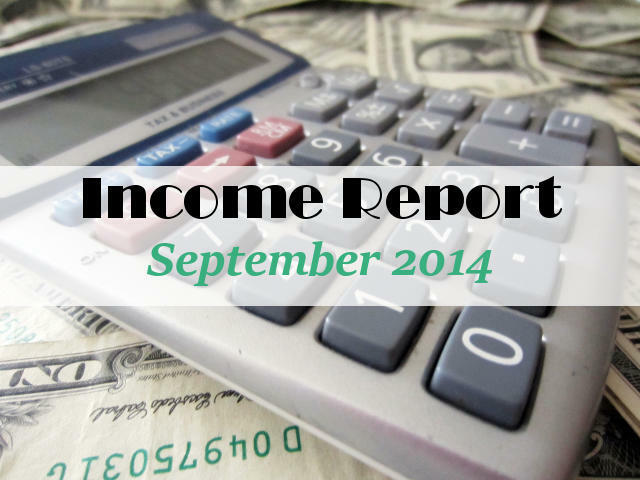 Deby, thanks again for sharing your income report. Very motivating! I can see a steady increase in your income reports since you started documenting them. I love reading and writing income reports.